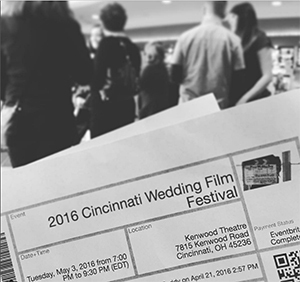 RECAP: Cincinnati Wedding Film Festival! 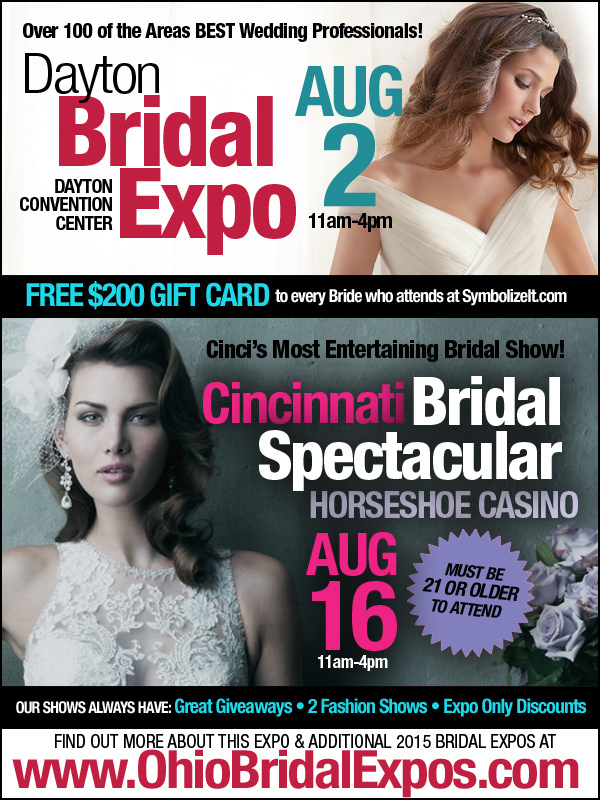 Last week, I had the honor of emceeing and getting Cincy Chic involved as the media sponsor for yet another great year of the Cincinnati Wedding Film Festival with True Artists Studio. 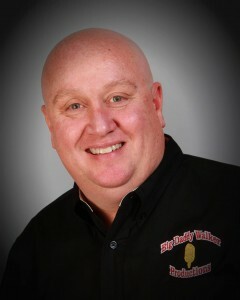 This was the fifth year for the festival and its fourth year at Kenwood theatre. 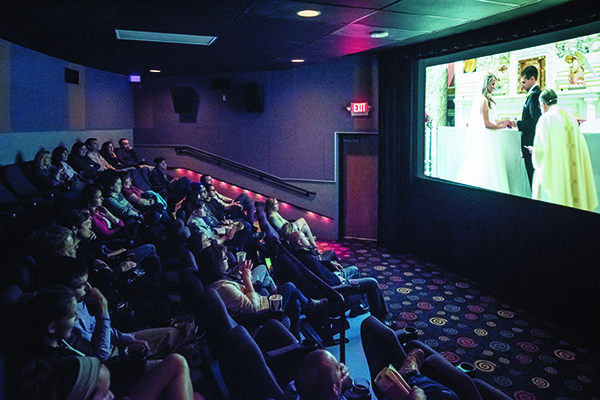 With thousands of genre specific film festivals in existence, this is the one and only film festival for weddings, and it’s right here in Cincinnati! 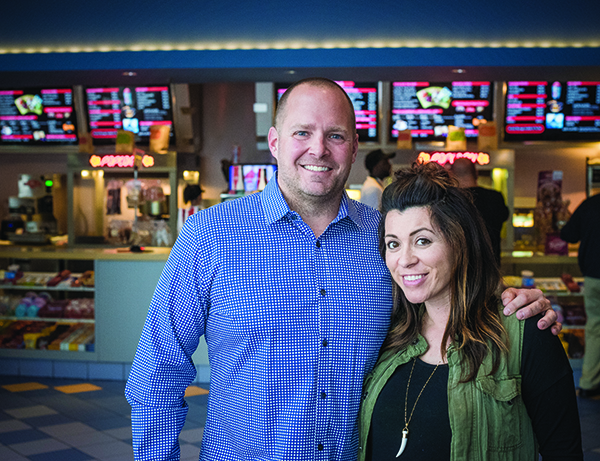 What I love about the event is that all the couples were there in the audience, popcorn in hand, to see their big day on the big screen and brides-to-be were wedding crashing from a theater seat. Very cool. The love you see with each couple is so unique, so full, so pure, so genuine. I love watching these films because, after 7 years of marriage, I’m immediately taken back to our wedding day, and those feelings I felt as I saw him at the other end of the aisle, slipped that silver band on his finger, and kissed him for the first time as his wife… ahhh, I’m crying again!! 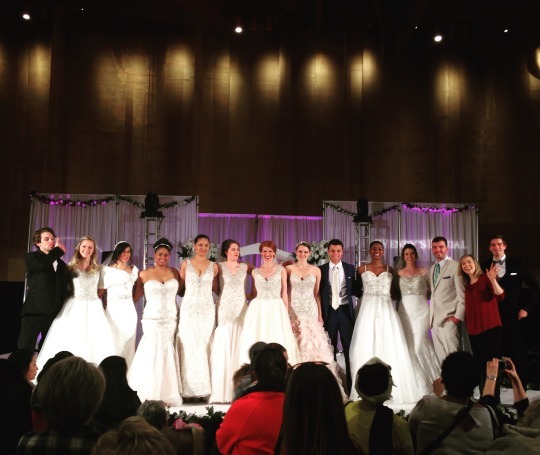 RECAP: 2016 Wendy’s Bridal Show! Gosh, it’s hard to believe it’s actually over! All the planning, visualizing, practicing… then the whirlwind of the two-day show… and then you sit, with your feet up on the couch, looking at all the fun pictures you took the event (which is what I’m doing right now)! 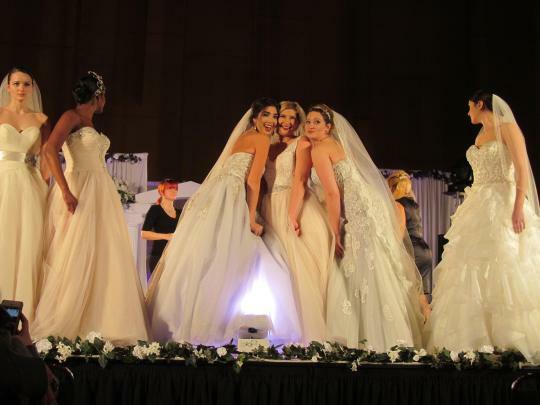 I emceed the fashion shows both days at Wendy’s Bridal Show last weekend, which was seriously one of the coolest shows I’ve ever been a part of to be honest (and just some quick math here, I’d say that’s over 100). New View Models provided all the models for the event, menswear was from Pepe Ramundo & Sons, and the bridal gowns and bridesmaid dresses were from (you guessed it) Wendy’s Bridal! 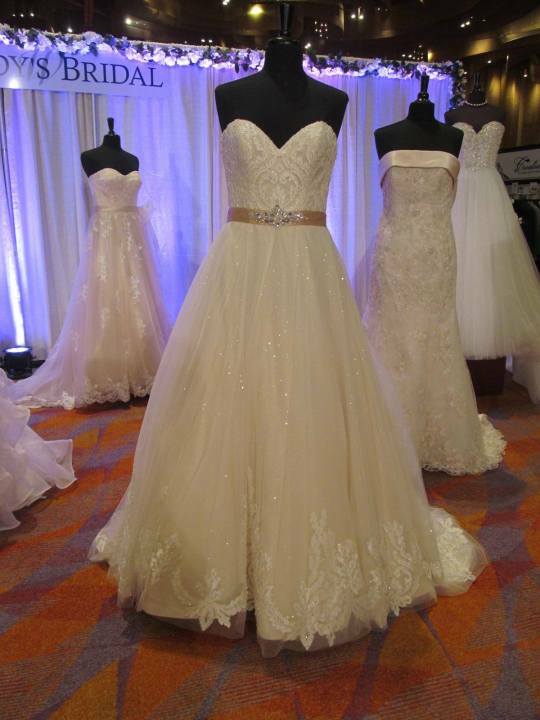 Some of my favorite brands featured were Allure, KITTYCHEN, and what ended up being my favorite, David Tutera for Mon Cheri. 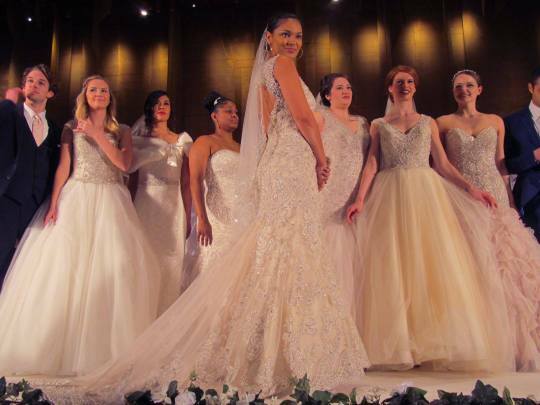 As I noted in my emceeing script, the biggest trend for 2016 is attention to detail on the back of the gown with lace, beading and extra sparkle. 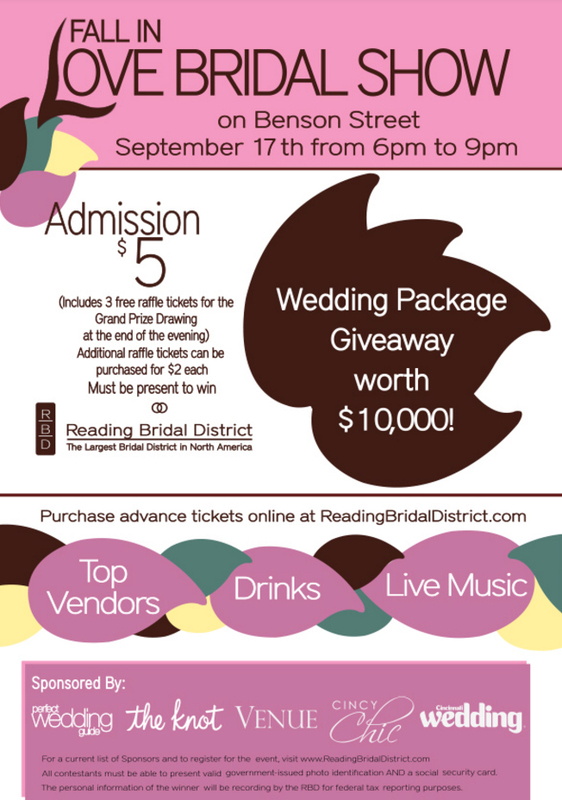 Definitely a great event, and an especially fabulous fashion show. 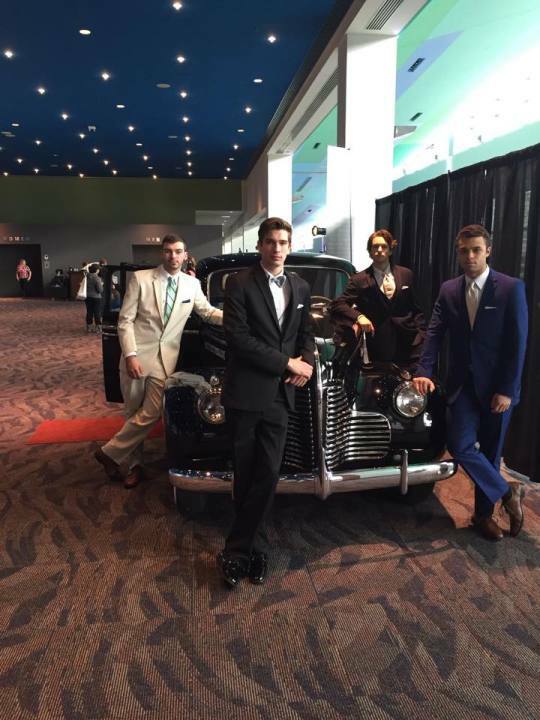 Check out some pics from the show below! 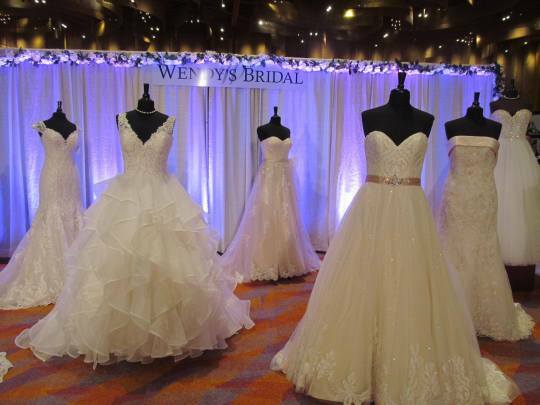 Alterations by Toni – Perfect for Weddings and Gift-Giving! This week’s Black Friday officially kicks off gift-giving season, and the holidays get all the love birds fluttering about and getting engaged for wedding season in a few months! So, I thought I’d tell you my best kept secret for both… Alterations by Toni. Alterations by Toni created this bride’s “something blue”! First of all, they’re the best in town. They have 10 seamstresses on staff, with more than 40 years of experience, so if you need ANYTHING altered, they’re who I’d recommend, but especially for trusting someone with your wedding dress, Toni’s the one to call! 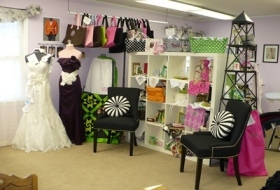 From pant hems to bridal gowns, they do it all: menswear, ladies wear, bridesmaids, mothers of bride/groom. I love being a fan on their facebook page because they post before and afters of their bridal gown transformations. Like, if a daughter wants to wear her mom’s gown, but re-fashioned to look more up-to-date. 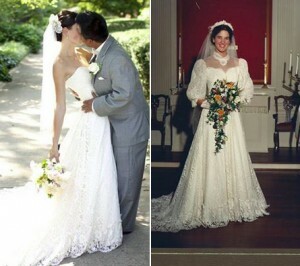 A refashioned wedding dress I found on Alterations by Toni’s Facebook page! How amazing is that?!? 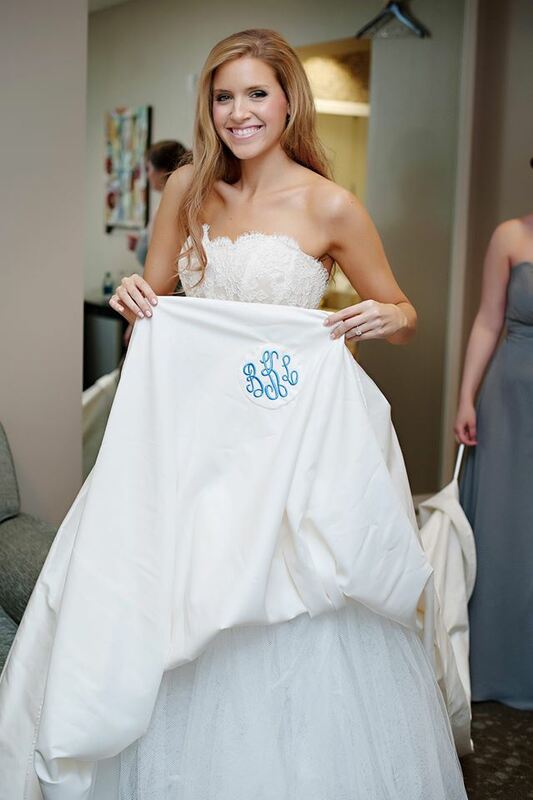 Toni is also the one to call if you need anything monogrammed which is great for personalizing clothing, accessories (like handbags, scarves, robes, etc), Christmas gifts, or even gifts for your bridal party! 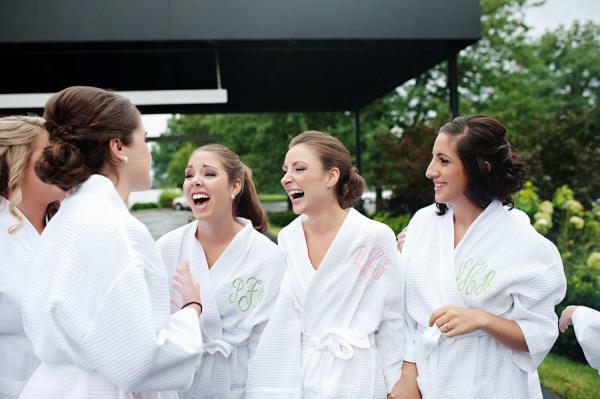 They can monogram just about anything of yours, or they have items in-stock you can monogram too (like bath wraps, robes, cosmetic cases, jewelry cases, totes galore, tea towels, dinner napkins, coasters, baby onesies, bibs, bloomers, receiving blankets, etc). They have more than 50 monogram styles in every color imaginable, so you can customize it just the way you want it.